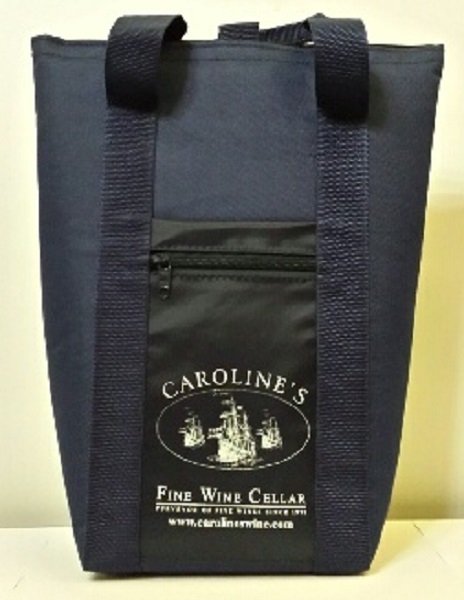 Branded cooler bag, navy blue, which holds two bottles. Has a chiller block which can be inserted to keep your cold wine cold. Has an outer zipper pocket in which you can keep your corkscrew and car-keys!